Enjoy an afternoon of Beethoven and Broadway at the Cabot Theater in Beverly. Symphony No. 5 in C Minor will be followed by a selection of hit Broadway show tunes. Serving the coastal area north of Boston and beyond, the 40-person professional orchestra will be augmented by guest mezzo-soprano, Anna Guigui. She teaches at the Berklee College of Music in Boston, has recorded and toured around the world, and sings with the Tanglewood Festival Chorus (Boston Symphony). 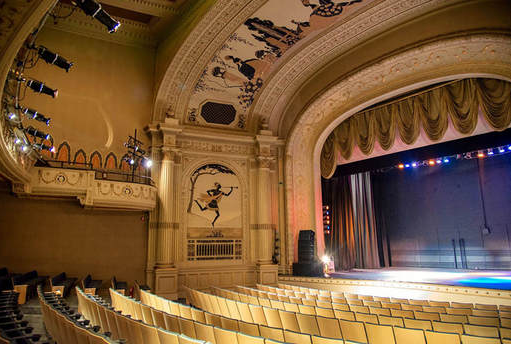 Built in 1920, the Cabot Theater combines classic auditorium design with updated facilities. At $20, our group price is pretty incredible. Following the concert, consider joining us for an optional dinner at a nearby restaurant (pay-as-you-go). Also, optional post-dinner walk to the ocean. If you have any questions about this event, please contact Arnold Nadler, MRP ‘67, PhD ‘73 at ardnadler@aol.com.